Widely distributed from the Coast to the Sierra Nevadas. 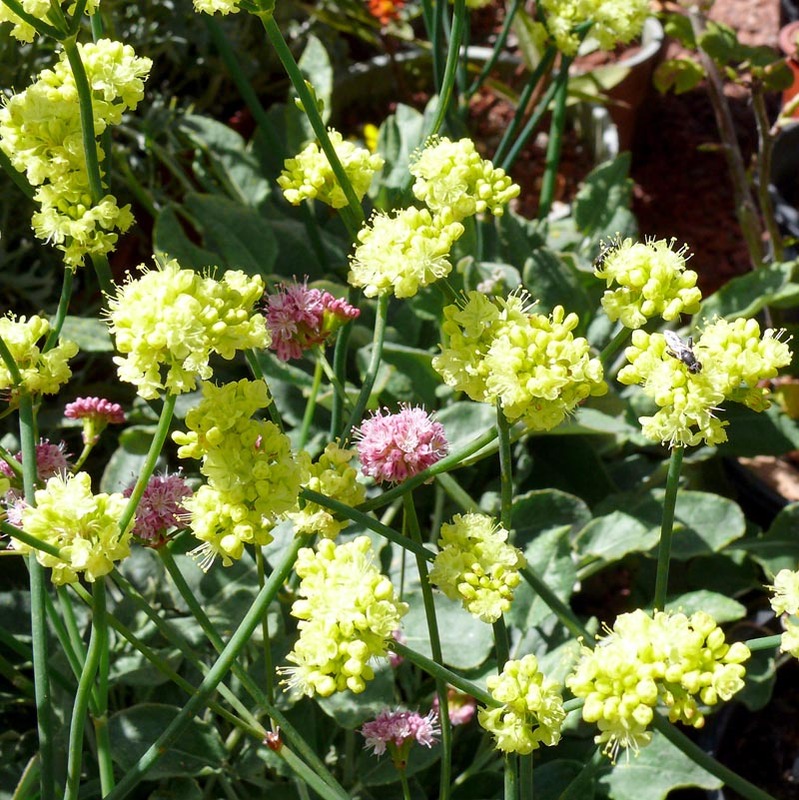 Small grey-green spoon-shaped leaves with 18″ tall bloom stalks and large yellow bloom sprays. Attractive to bees. Deer resistant.